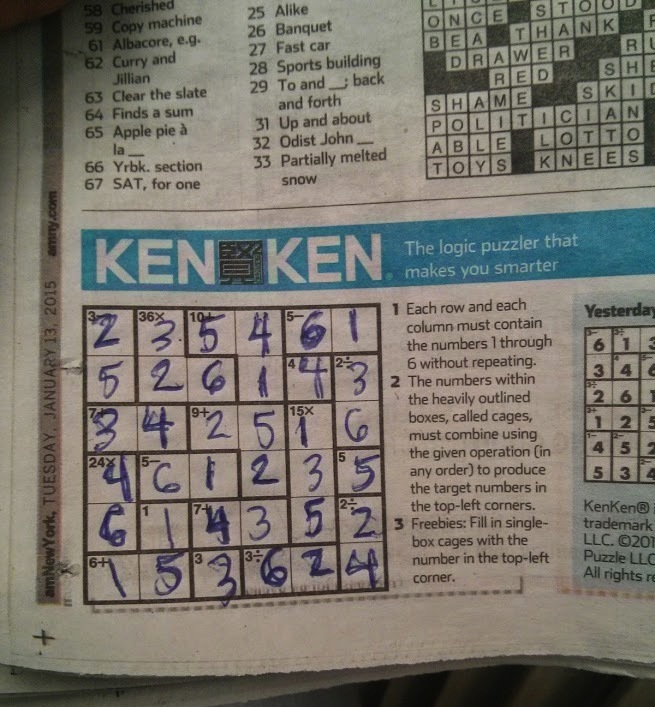 Eventually I started wondering how many total permutations there are of the 6 by 6 grid of numbers, and how many of those constitute valid KenKen boards (each row and each column must have all of the numbers between 1-6). I guess the answer is 6! * 5! * 4! * 3! * 2! * 1!, or 24883200 (right? someone wanna double check me here?). Long story short, it looks like there’s no shortage of viable KenKen boards!